Click the Attach File button in the New Message form’s Ribbon. The Insert File dialog box appears. It looks like the dialog box you use for opening files in most Windows programs, and it works like opening a file, too. Just click the name of the file you want to send and click the Insert button. Type your message (if you have a message to send). You may not have a message; perhaps you want to send only the attachment. If what you want to say is in the attachment, that’s fine, but remember that the contents of an attachment don’t show up on the recipient’s screen until he or she actually opens the attachment. Click the To button in your Message form. 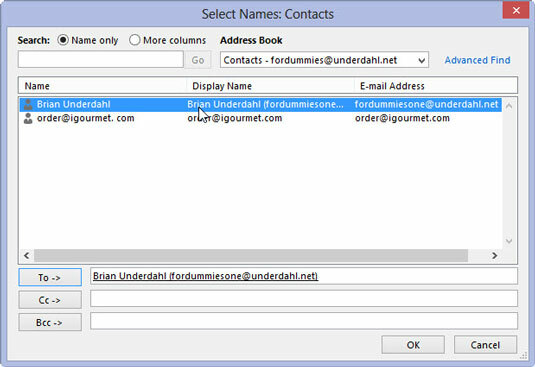 Select a name from your Address Book and click the To button in the Select Names dialog box. The name of the selected person appears in the To box of the Select Names dialog box. If the name of the person to whom you want to send your message isn’t in the list, you can select Suggested Contacts from the Address Book drop-down list. 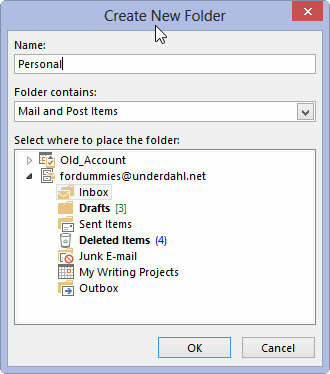 Click the Subject text box and type a subject for your message.